Our American connection begins with a William Dodson, Sr. and his wife Elizabeth, most probably from England and most definitely early settlers of Henrico County, Virginia. In 1688 William Dodson and James Franklin transported eight negroes into the colony. Under the Colonization Act an individual was due certain acreage based on the number of persons for whom passage was paid. Thus the men were granted 360 acres on the north side of Swift Creek, in Bristol Parish, (later Dale Parish, Chesterfield County) which they subsequently divided between them. William (before 1668-1746) and Elizabeth had three children, William II, Thomas and Stephen. William and Thomas both remained in Chesterfield County, while Stephen (?-1755) migrated with an unknown wife to Amelia County, Virginia where together they had two known children, Edward, Sr. and John. and Edward, the third, who married Mary Green in 1814. Just a wee bit of a problem with this scenario. The last list of children combines the first two lists. What’s up with THAT? One conclusion is that Rev. Silas Lucas invented a generation of Edwards. Another conclusion is that the 1812 Will lists names without properly identifying children from grandchildren, and the Register Reporter listed an assumption not a fact. My d kay s conclusion is that I don’t have enough information to make a conclusion. I need transcriptions!! Lots and lots of transcriptions! Then cross checks with tax and census lists. 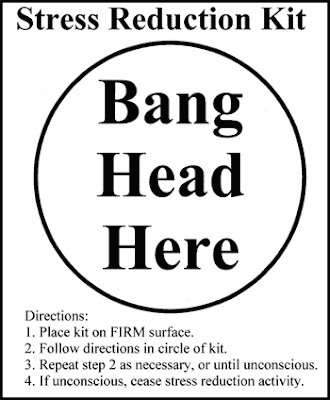 Ultimately I will have to create a name index with associated dates…..take road trips……conduct on-line searches……request documents from Mecklenburg County…….and use my Stress Reduction Kit frequently! Someday I will have a solid connection with this Edward Dodson of Amelia County. For now I have to be content starting my register report with Edward the Younger, who married Mary Green, daughter of William Willis Green, on 7 June 1814, the Rev. James Meacham presiding in Mecklenburg County, Virginia. ¹,² Williams, Sherman. The Dodson (Dotson) Family of North Farnham Parish, Richmond County, Virginia: a History and Genealogy of Their Descendants. Easley, SC: Southern Historical, 1988. Print. ³ Register Report, “Descendants of Francis Dodson” by the Cox family. Did any of your Dodsons live in Henry County, Va.? We are descendants of slave or free black/mulattoes who lived there for a few generations. Hi, Angela! Thank you for leaving a message! I am sorry it has taken me some time to get back to you, but I was searching for my Dodson Family book. I am descended from William Dodson, who immigrated to Henrico County (Richmond), Virginia in the 1600s, and lived there until his death. His children included folks that ended up in Amelia County and Mecklenburg County, but I don’t see from this source any descendants living in Henry County. From the index of this book, which includes references to Volume One, I see 40 some pages of Henry County Dodsons. Perhaps the first volume would be helpful to you, if you have not already tried it. Let me know how your fare! My dad and brother are also named William Dodson.